Possibly a Tubipora sp. (aka organ pipe coral). However, due to difficulties in ID (a lot of similar-looking polyps that belong to different species), it can also be an Anthelia sp. or another Xeniidae coral. The width of the imaged area is around 1.5 cm. The hard skeleton of the colony is red, similarly to that of an organ pipe coral. 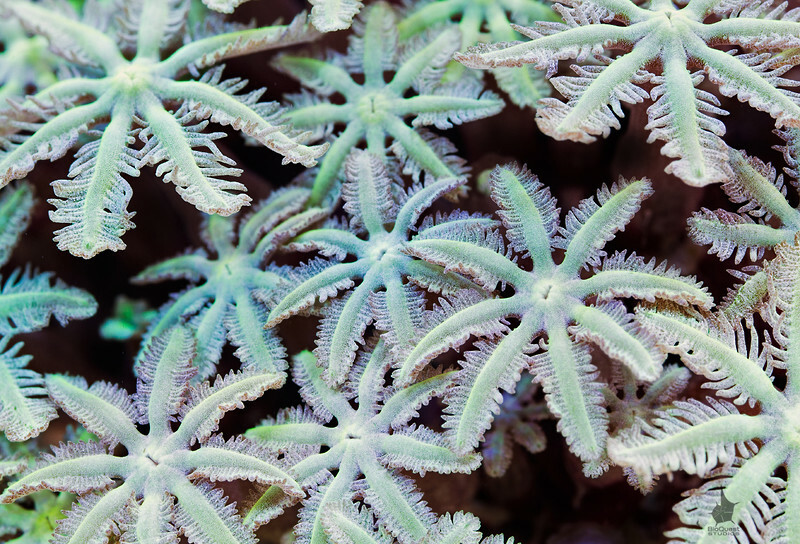 It's an octocoral, unlike all other animals in this gallery.